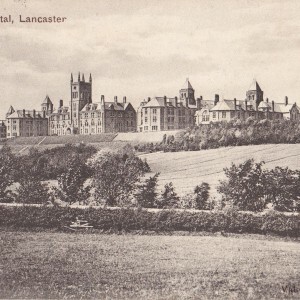 The County of Lancaster was only the fourth in the country to establish a lunatic asylum following the permissive 1808 County Asylums Act, following the examples at Nottingham, Bedford and Norwich. 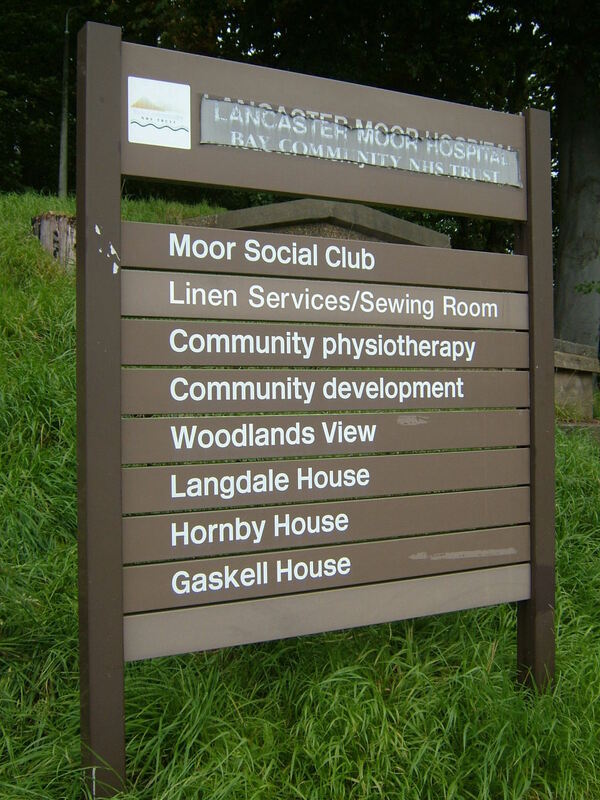 A site to the west of the County Town at Lancaster was chosen on the edge of Lancaster Moor and for just under 35 years provided the principal means of institutionalised care for the whole of Lancashire and the detached Furness area. 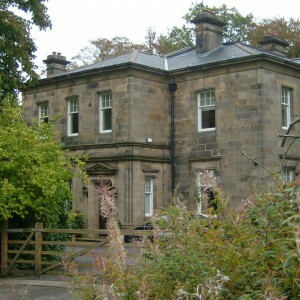 The main building, by Thomas Standen was designed in classical style of local stone stood to the south of what was to become Quernmore Road, in predominantly undeveloped countryside and moorland. 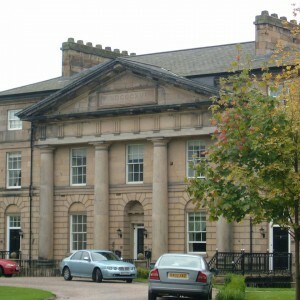 The main entrance was capped by a pediment commemorating the year 1816 and was divided with males to the west and females to the east . 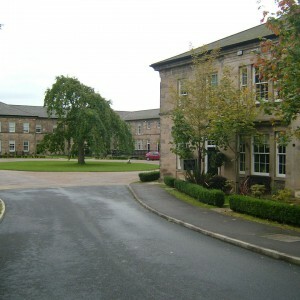 The central blocks were occupied by official spaces and the residence of the superintendent. 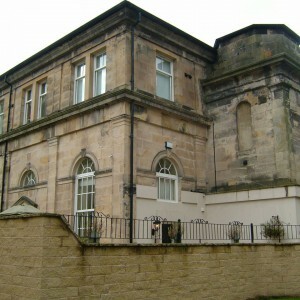 The wings, which would from 1824 be much extended by the architectural firm of Edmund Sharpe, were swept back to the south either side of the central service yards creating a narrow frontage in comparison with its contemporaries. 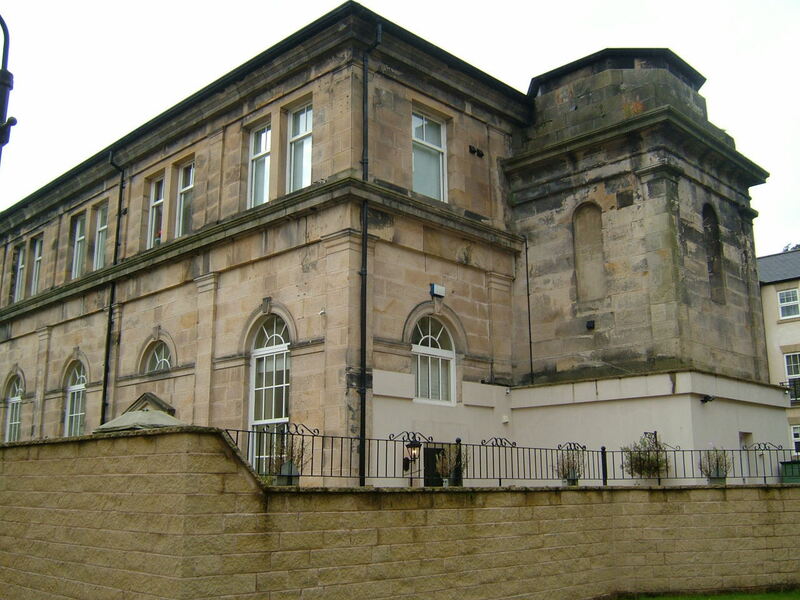 Although built for approximately 160 patients demand soon outgrew the available space and numerous extensions became necessary, the institution reaching a capacity of over 600 by the mid 1840’s. 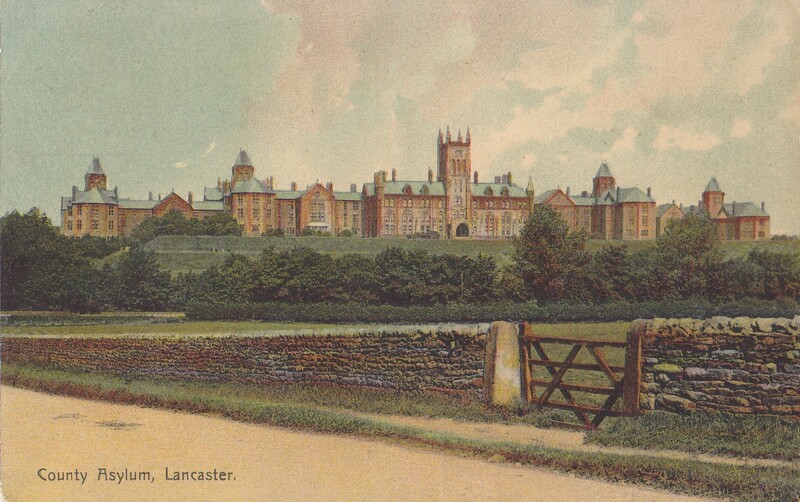 During the early period the Lancaster Asylum and its near contemporaries at Wakefield, Stafford and Hanwell demonstrated what would then have been novel and innovative approaches to treatment of mentally ill patients. 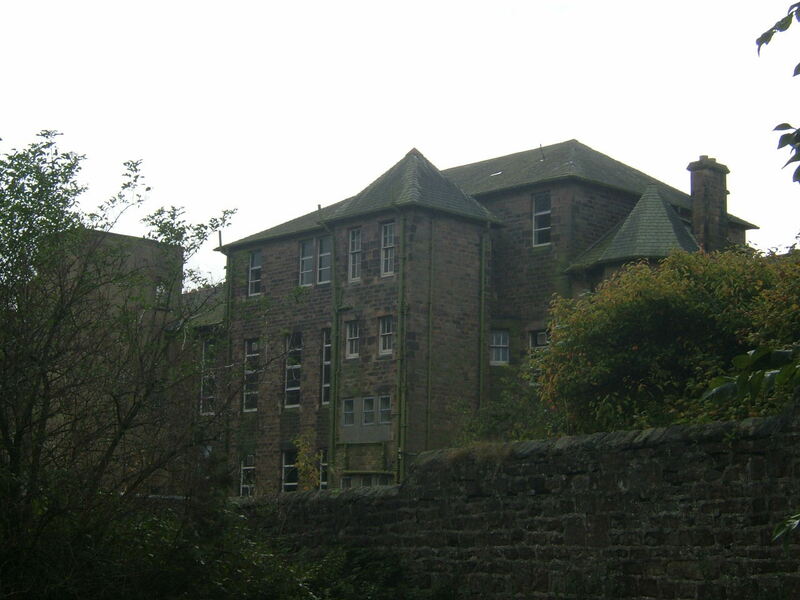 Dr Samuel Gaskell, appointed in 1840 as Superintendent was a contemporary of John Connolly at Hanwell and with his visiting Physician, Edward de Vitre , was a strong advocate for the abolition of mechanical restraint and progressive management of the mentally ill, moving away from previous custodial aspects of incarceration. 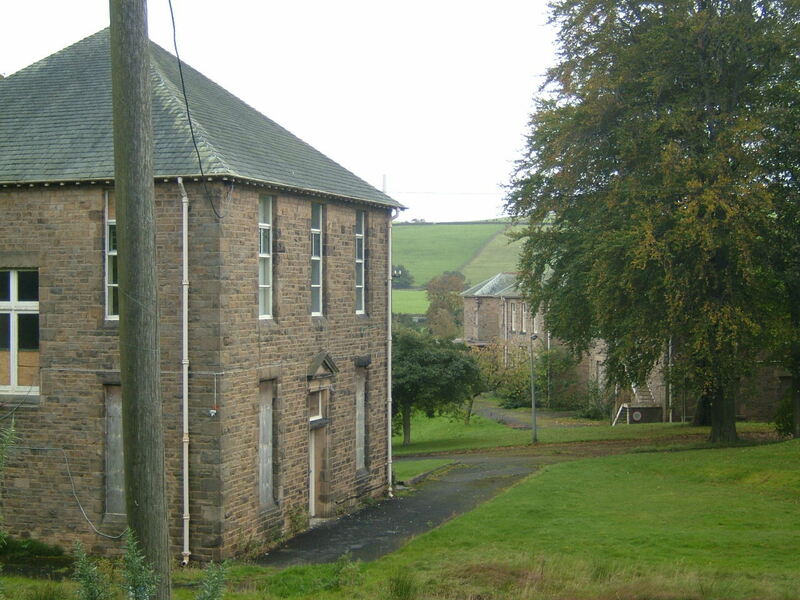 New male and female infirmary blocks were built detached to the south of each wing for the treatment of the sick and infirm and were distinctive on account of their substantial ventilation towers. 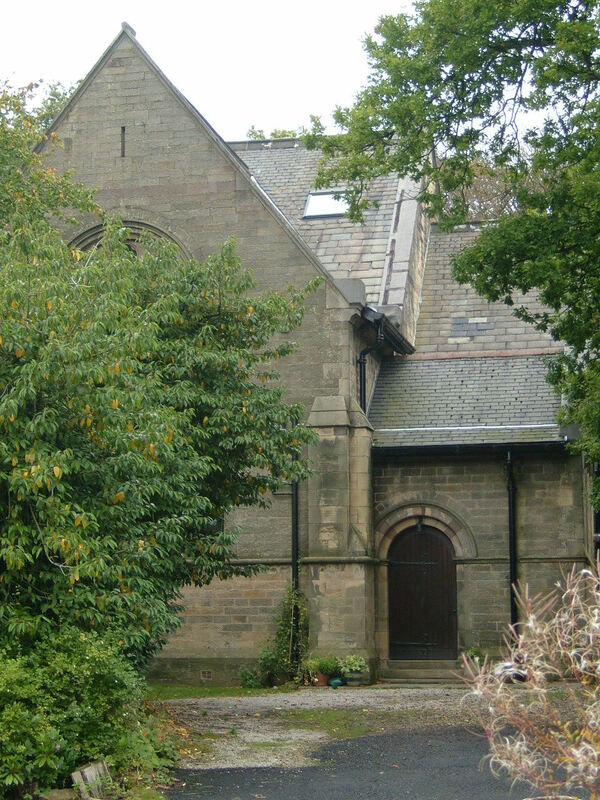 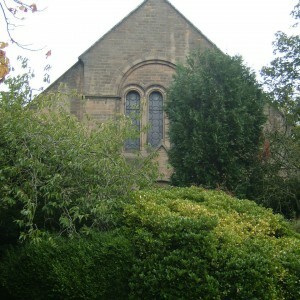 By 1866 a new detached chapel had been provided in the grounds to the north of the main building to replace the former integrated one which no longer held sufficient capacity. 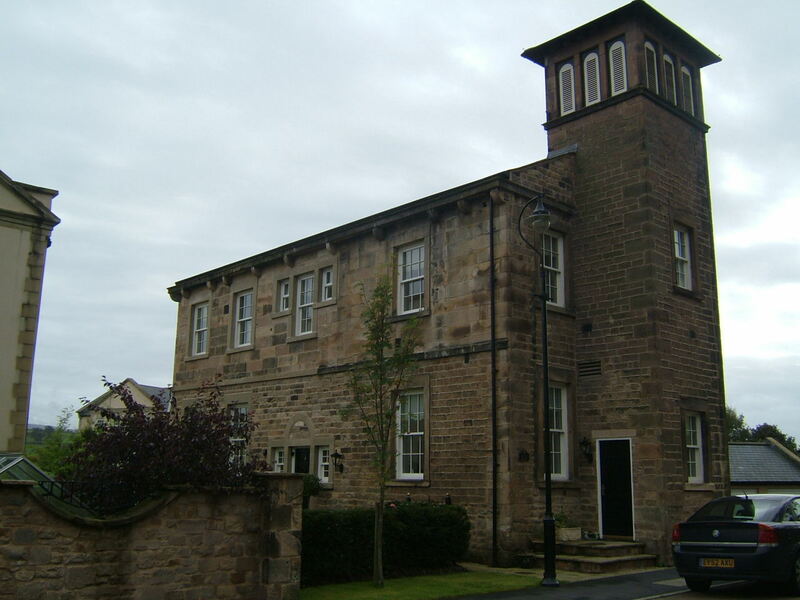 The design was carried out in norman style by the local architectural firm of E.G. 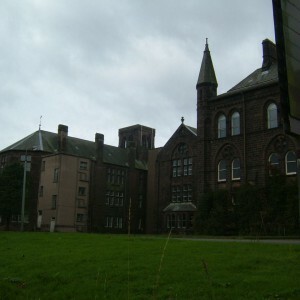 Paley, and was dedicated to St. Michael, opening in December 1866. 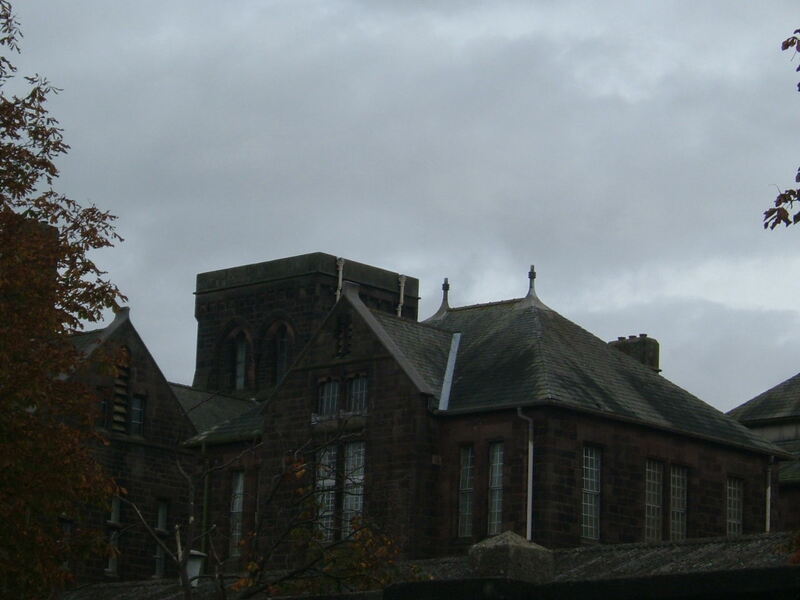 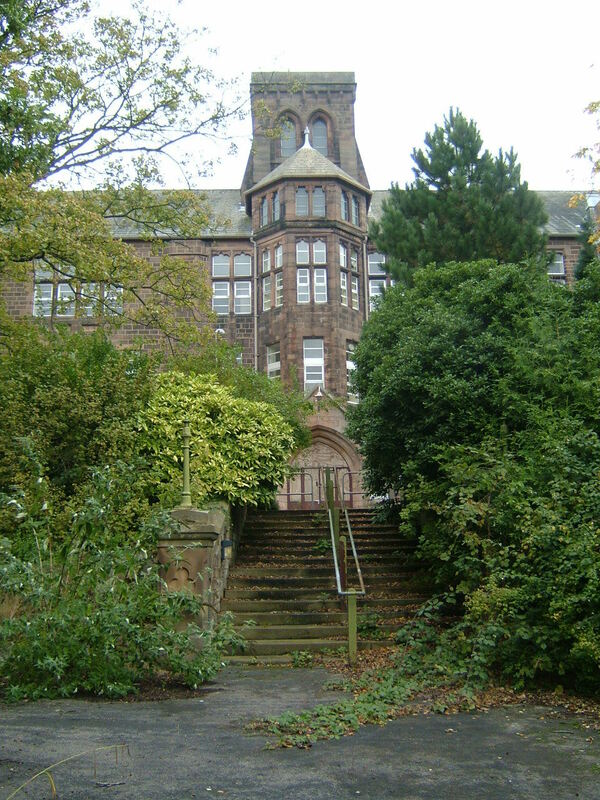 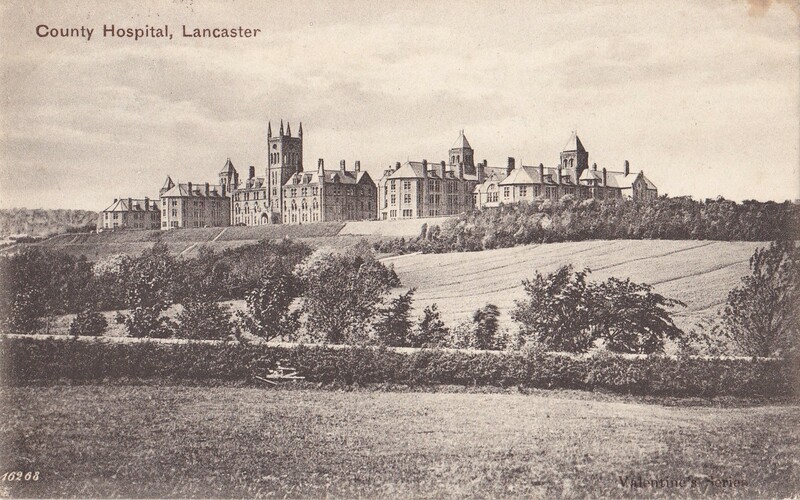 The architectural firm of Paley and Austin would also go on to develop Lanaster’s other asylum, the Royal Albert Asylum for Idiots and Imbeciles, a charitable institution on Ashton Road, Lancaster. 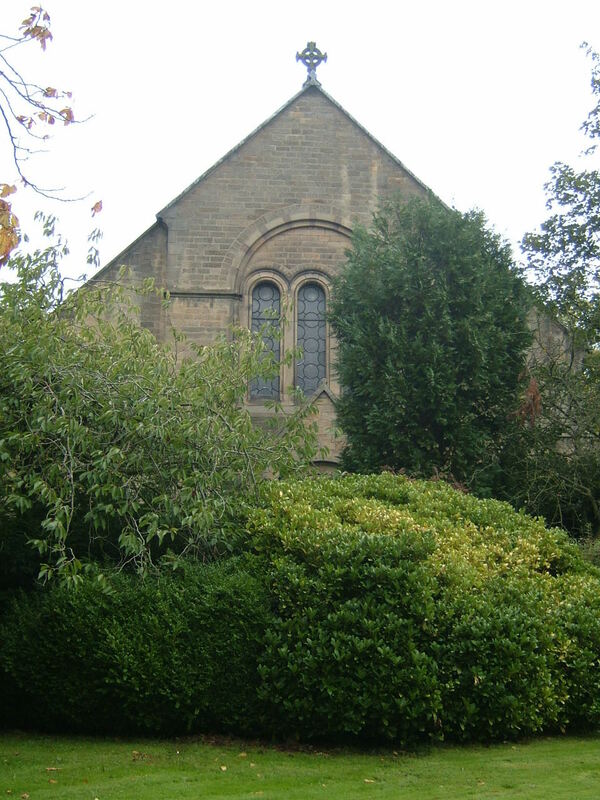 Roman Catholics were provided with less impressive facilities, with a ‘tin tabernacle’ type structure originally intended for the Crimea being obtained for the purpose and located west of the female wing. 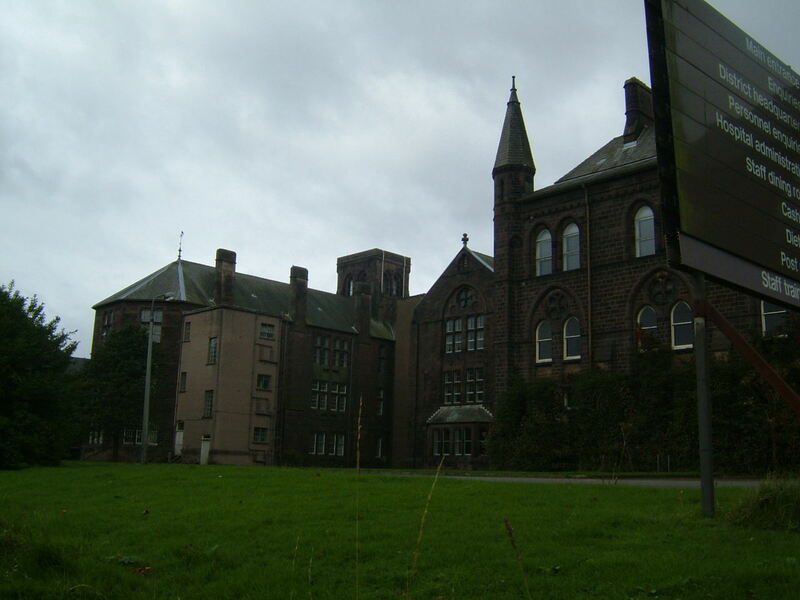 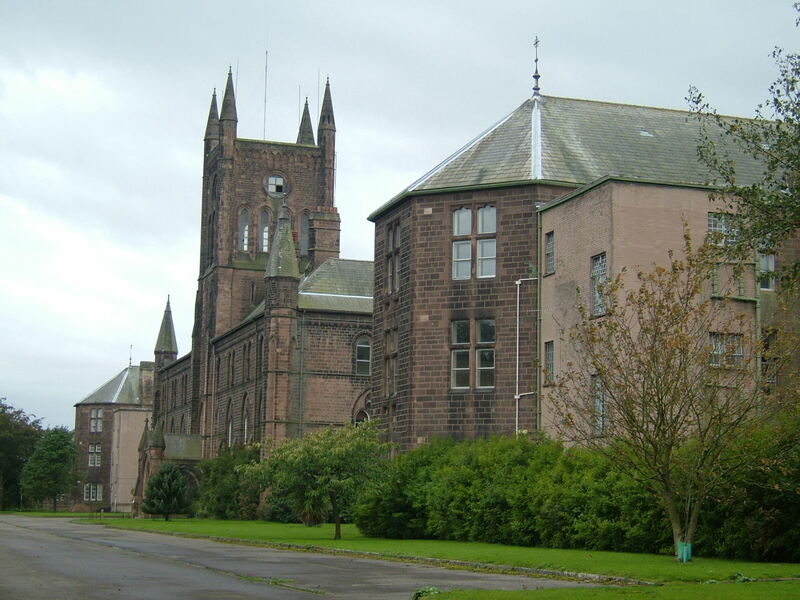 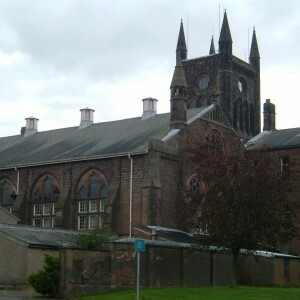 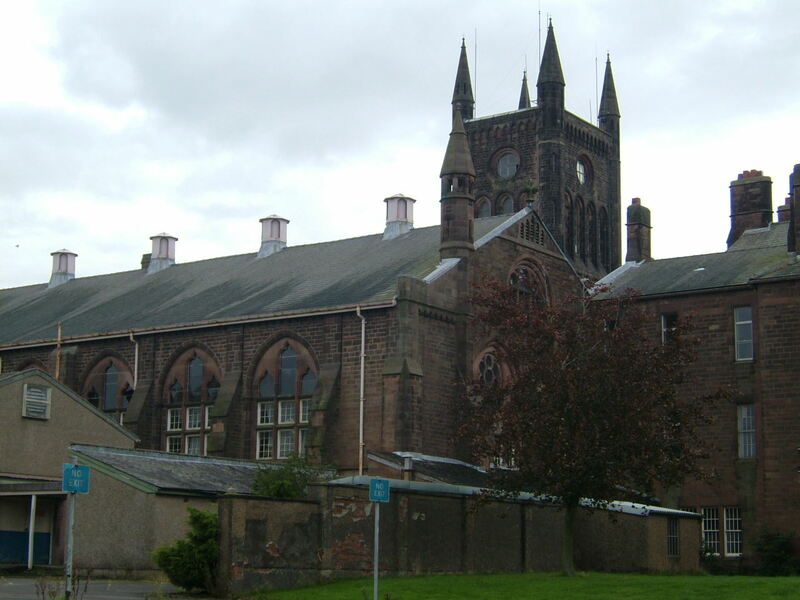 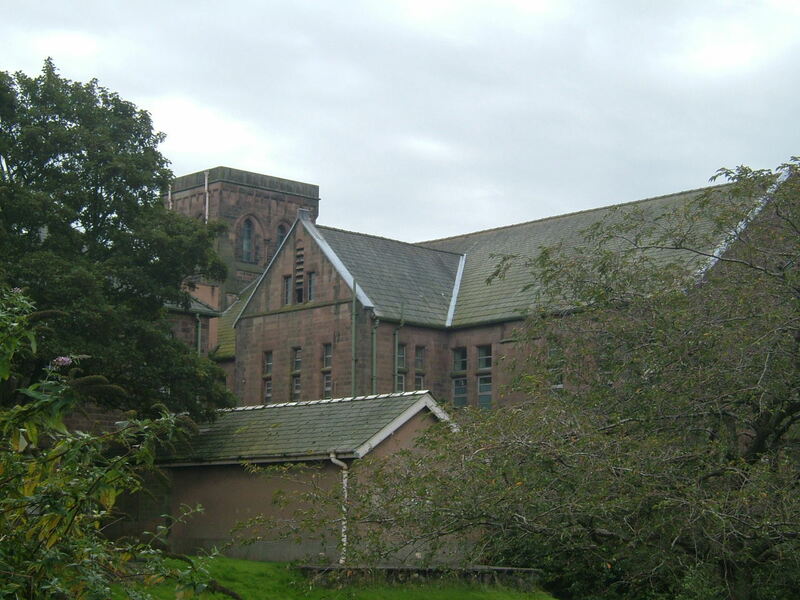 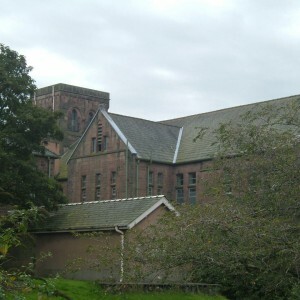 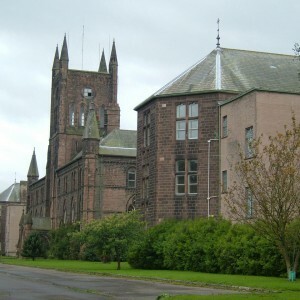 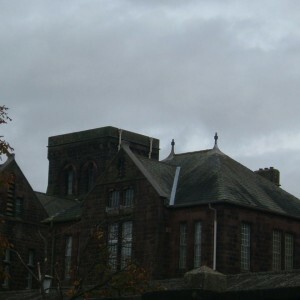 Despite being wooden framed with corrugated metal sheeting, St. Cuthbert’s as it became known survived until closure of the ‘old side’ of the hospital. 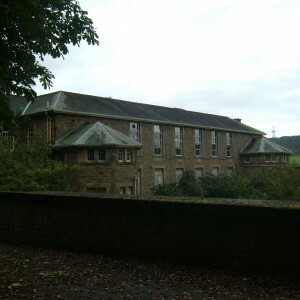 Subsequent urbanisation of the south of the county saw the asylum ill placed to meet the needs of this growing population. 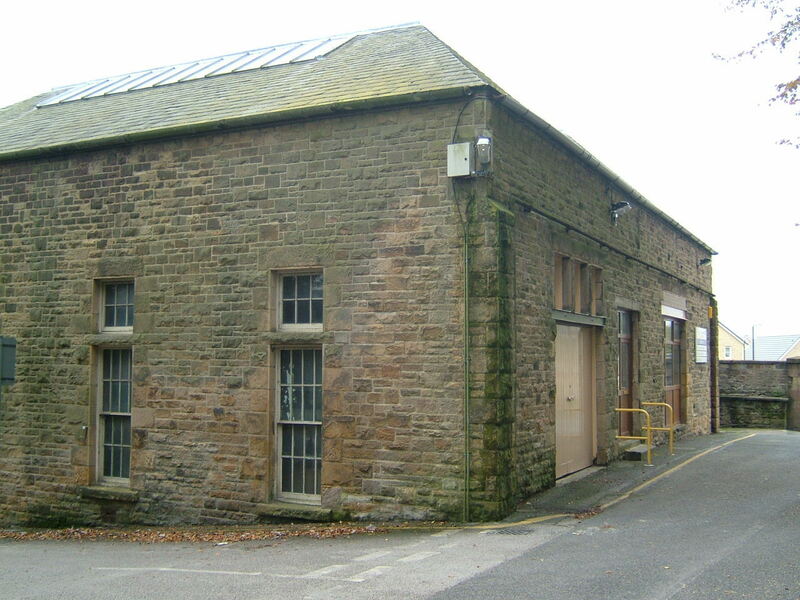 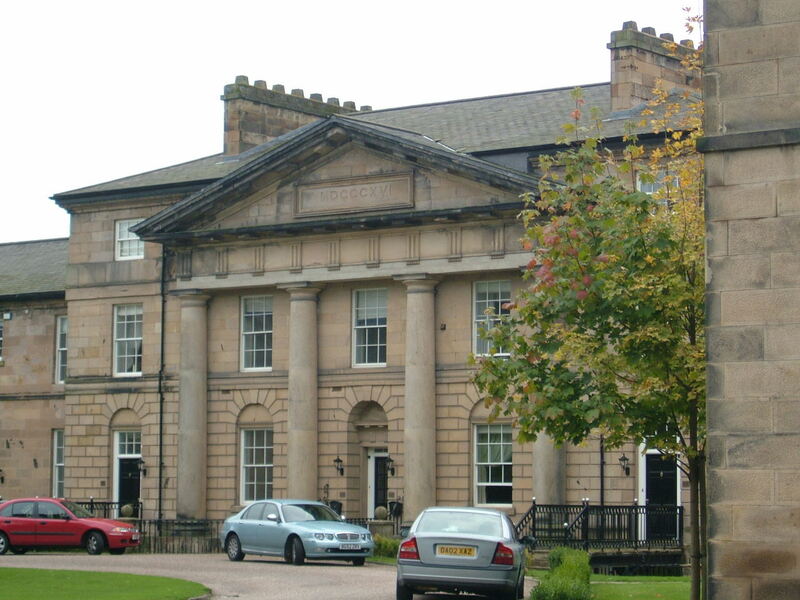 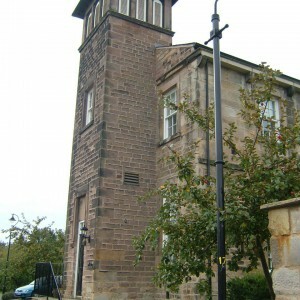 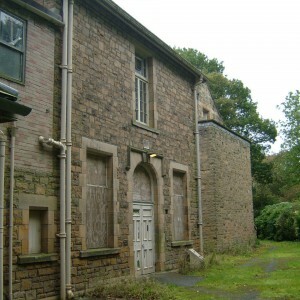 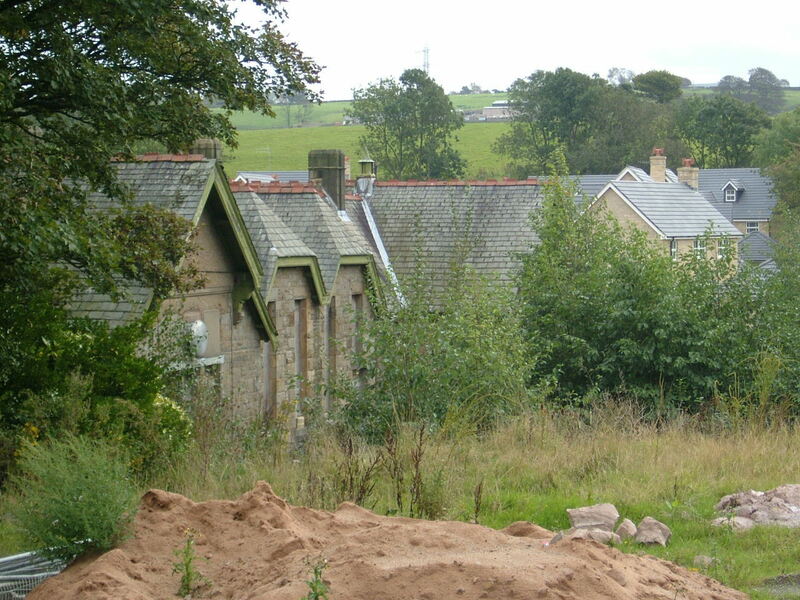 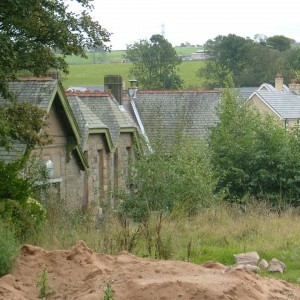 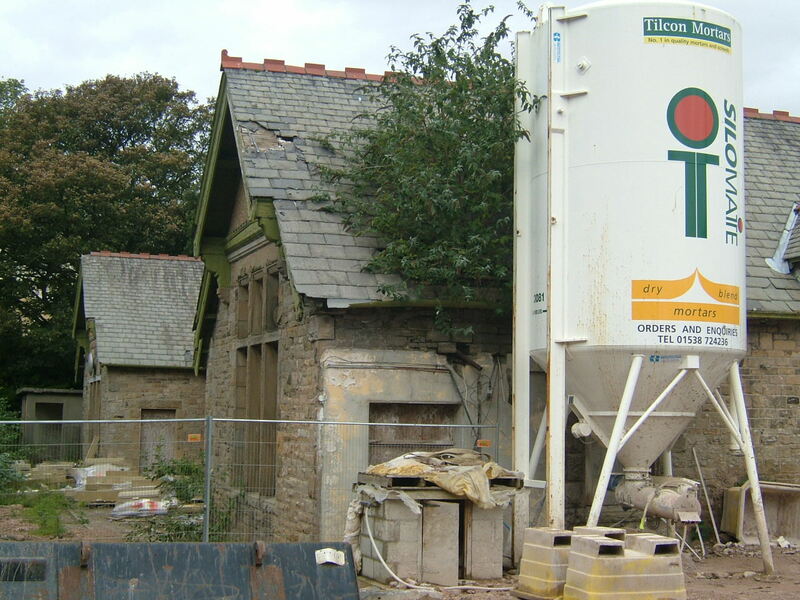 The County of Lancashire had determined to build additional accommodation at two further locations, effectively serving the growing south of the county. 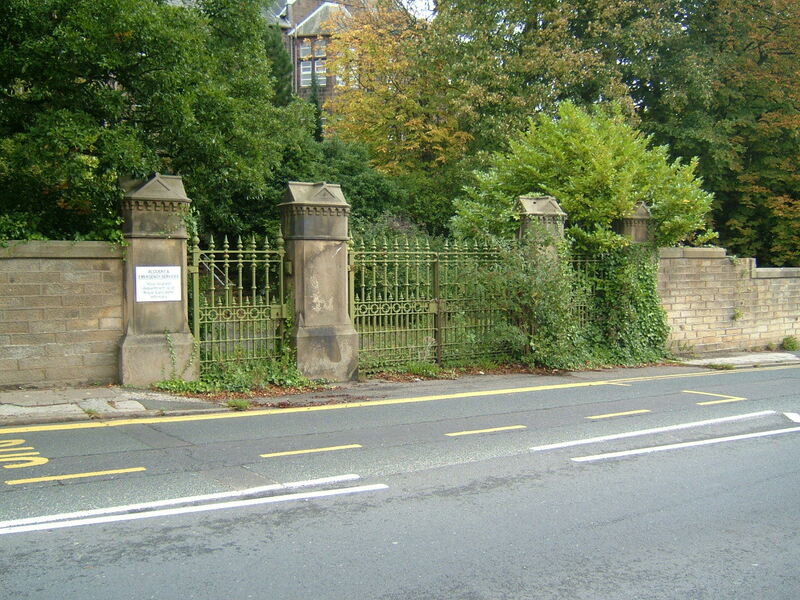 These institutions at Prestwich and Rainhill opened on the same day in 1851 and were intended to serve the Manchester and Liverpool respectively. 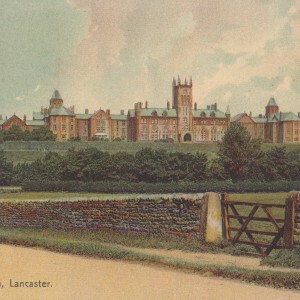 Lancashire was the first of the English authorities to provide multiple, concurrently open asylums, six months ahead of the second Middlesex asylum at Colney Hatch, although other areas would soon follow. 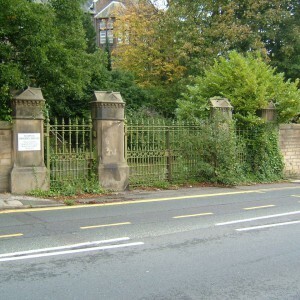 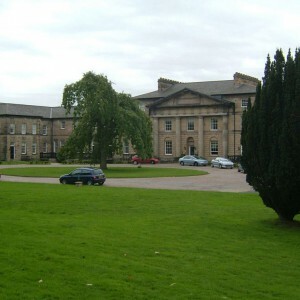 The development of the Prestwich and Rainhill Asylums allowed the Lancaster Asylum some respite from capacity problems and the establishment of a fourth asylum at Whittingham near Preston eased demand from the rapidly developing central belt of towns through the middle of the County. 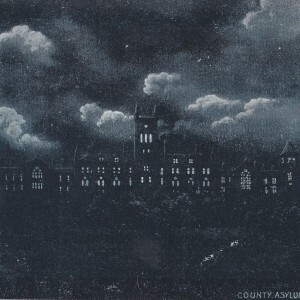 All four asylums would soon prove insufficient to meet large increases in admissions through the 1880s as industrialisation of the county led to further sizeable population increases. 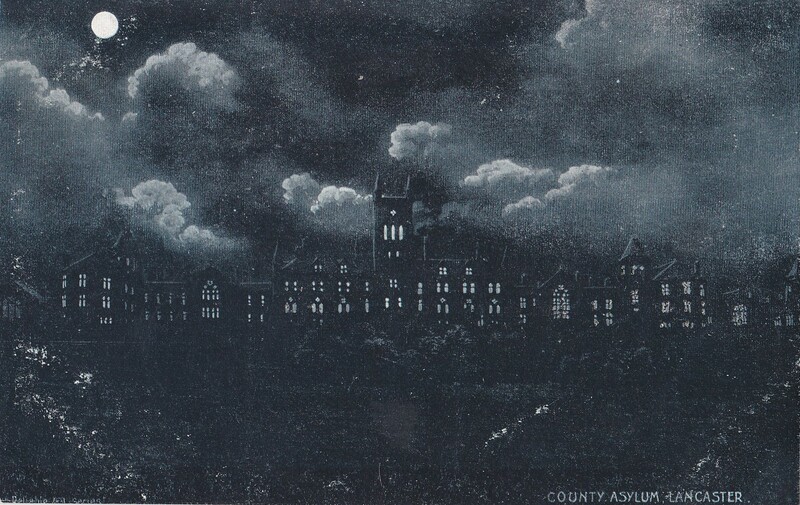 At each of the asylums annexes were built, predominantly to enable each site to be virtually doubled in size whilst being managed as four separate institutions. 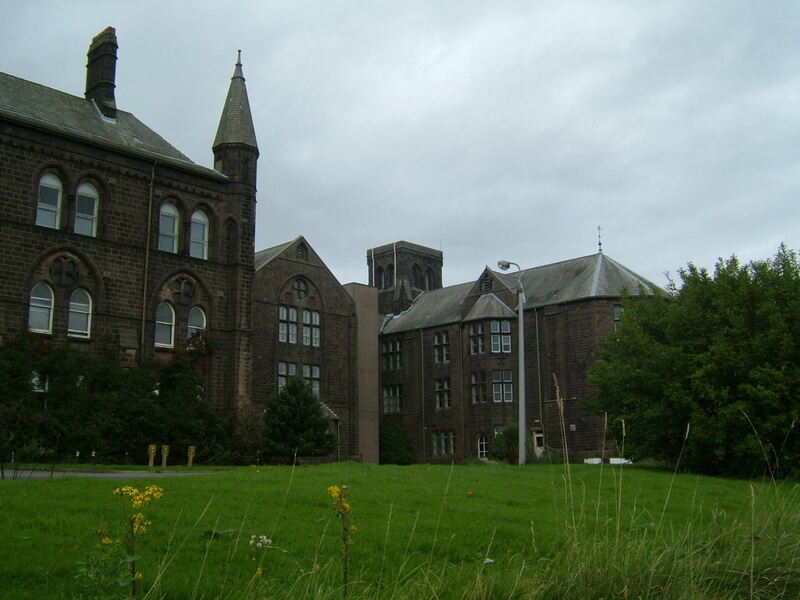 Unlike the development of the London County Asylums over the following two decades which utilised a standardised concept of building design and aimed to cap their institutions at around 2,000 inmates, the Lancashire asylums formed massive sprawling buildings. 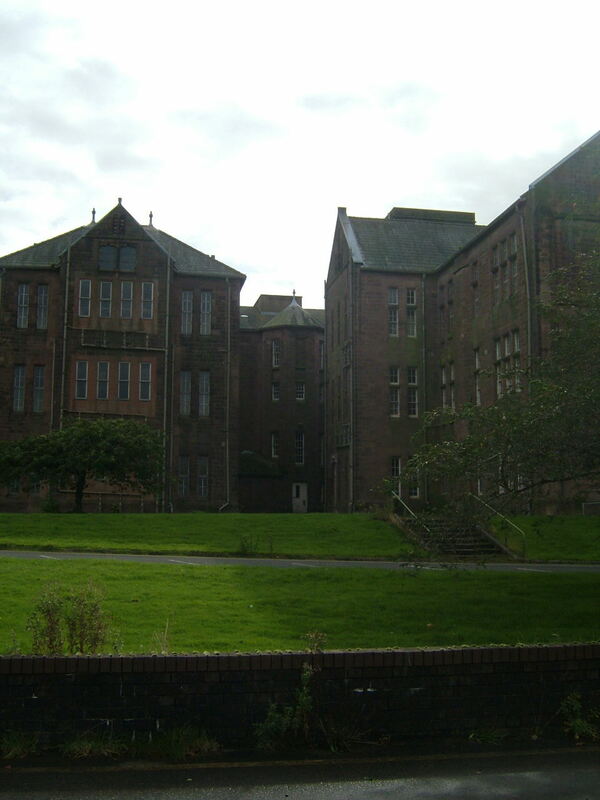 The plan of annexe development shows no specific intention of creating designs common to any of the four asylum sites and each appears built to markedly individual plans by different architects. 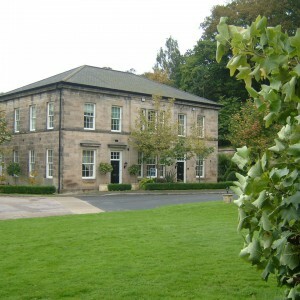 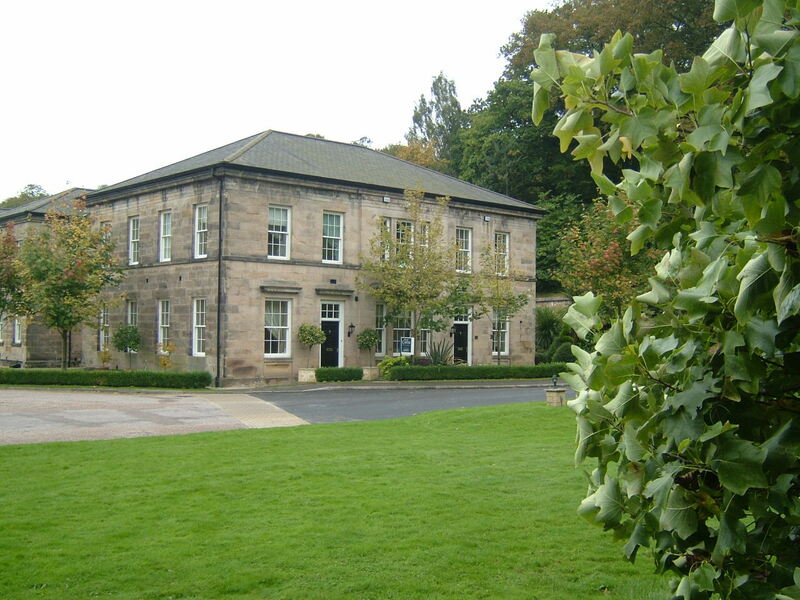 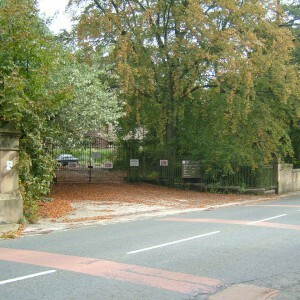 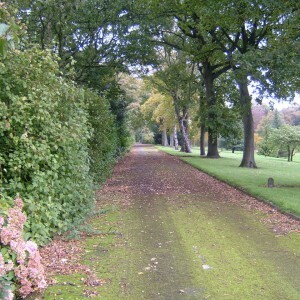 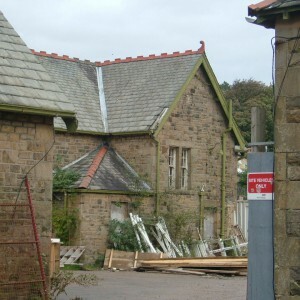 Lancaster’s annexe was to be sited to the north of the existing complex, on the moorland to the north of Quernmore Road. 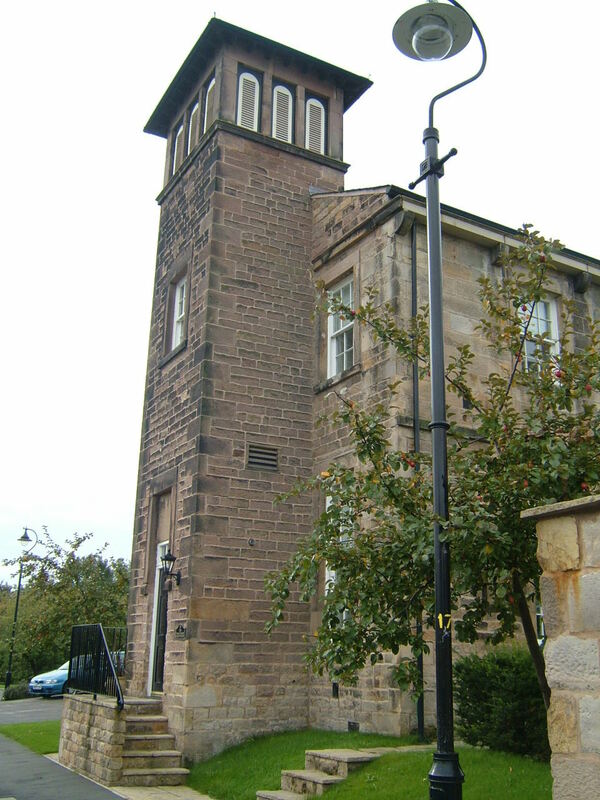 Unlike its graceful but comparatively unassuming neighbour built on the relatively unexposed slope to the south, the annexe stood on an eminence visible for miles around, not only for its height of two or three storey blocks but also for its massive water tower, centrally sited above the main entrance and overlooking the moor to the east. 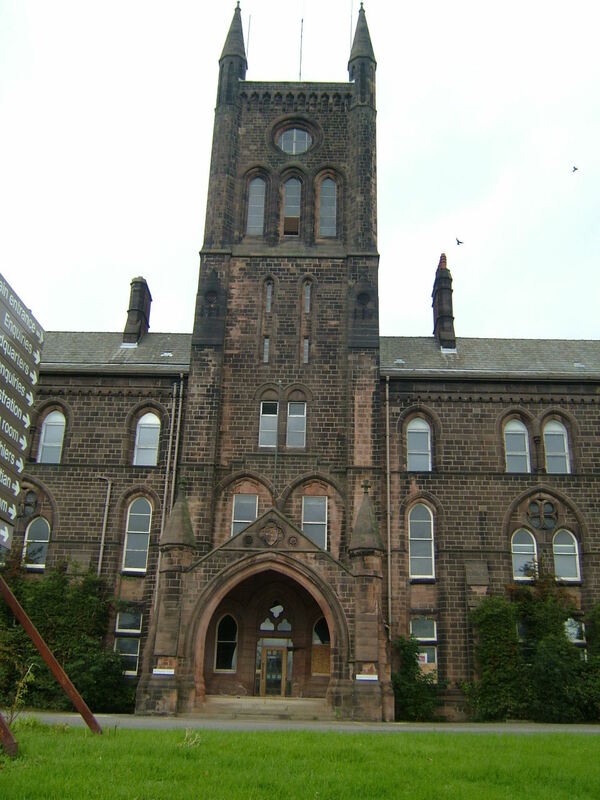 This monumental gothic structure in red sandstone was designed by Arnold W Kershaw provided beds for an additional 825 patients, a number which necessarily soon continued to grow as further developments in the grounds to the north and south of Quernmore Road would eventually acommodate. 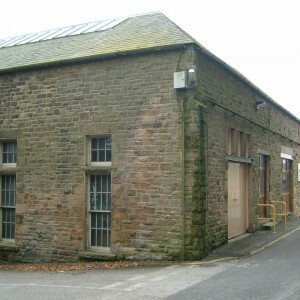 The Annexe also enabled much of the administrative functions to be transferred, releasing space in the original building for further accommodation for inmates. 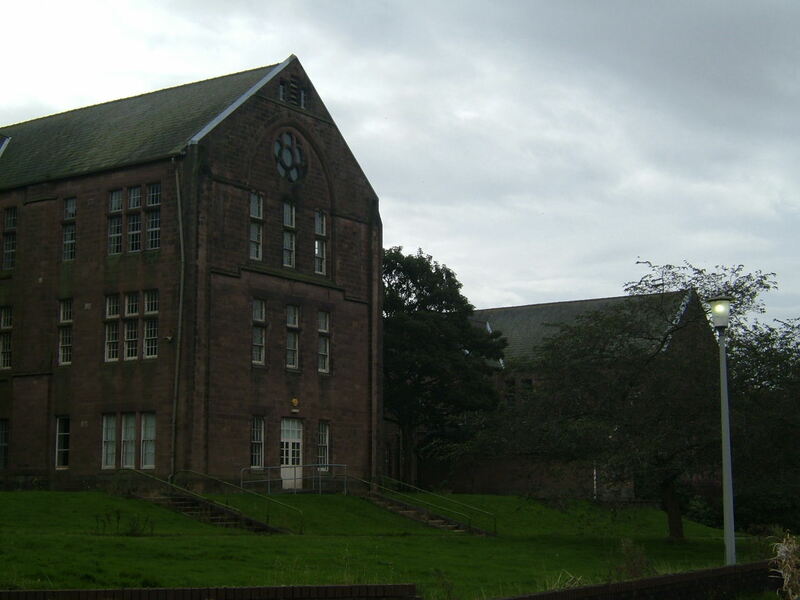 A commodious recreation hall with stage was provided to the rear of the complex to provide for the social needs of the institution, this later became known as Starkie Hall. 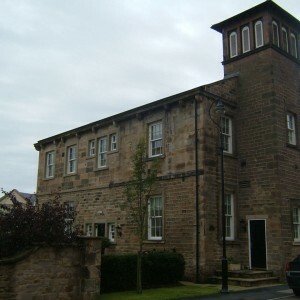 Building was however not to stop at the annexe only and further villa type structures were developed from the turn of the century. 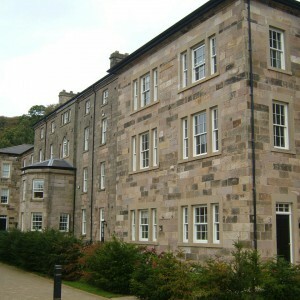 The initial phase included Harvey and Jenner Houses south east of the original building and Cassidy house to the north of the annexe. 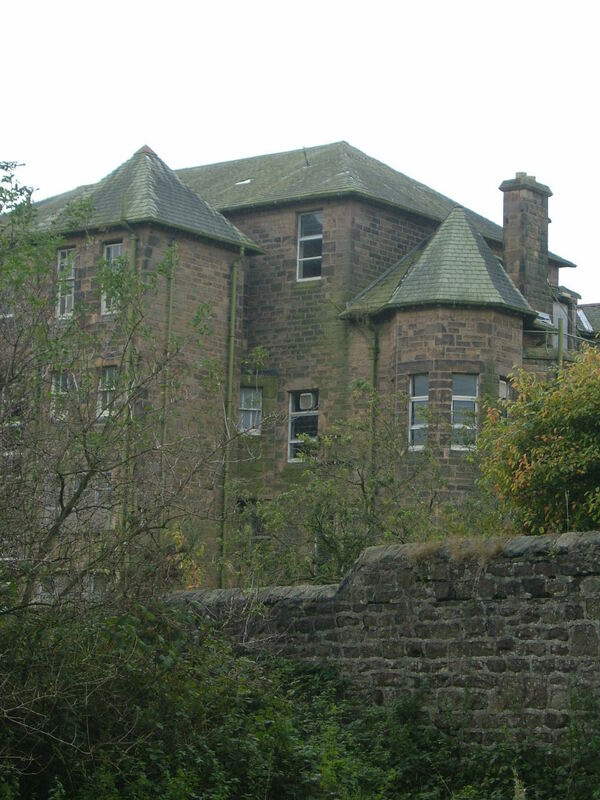 Campbell house, completed in 1909, was intended to provide separate accommodation for the lucrative private ‘gentleman’ patients who required superior accommodation compared with that available in the main buildings. 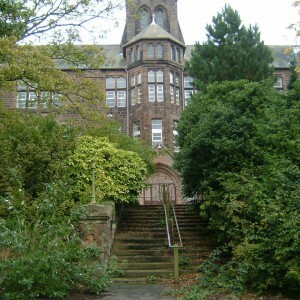 Langdale house and de Vitre Houses followed nearby, the latter completed in 1912. 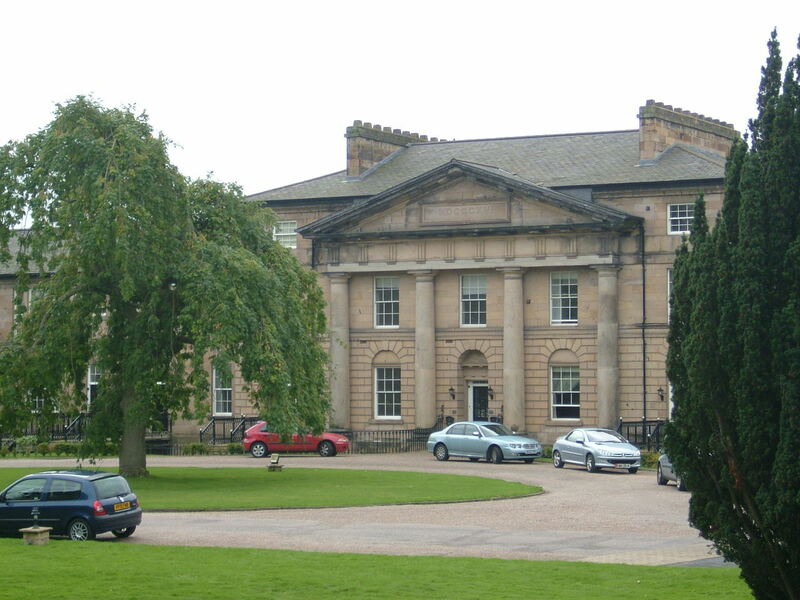 The Ladies Villa, intended for similar purposes as the corresponding gentleman’s villa, Campbell House was finally completed after the commencement of the Great War in 1916. 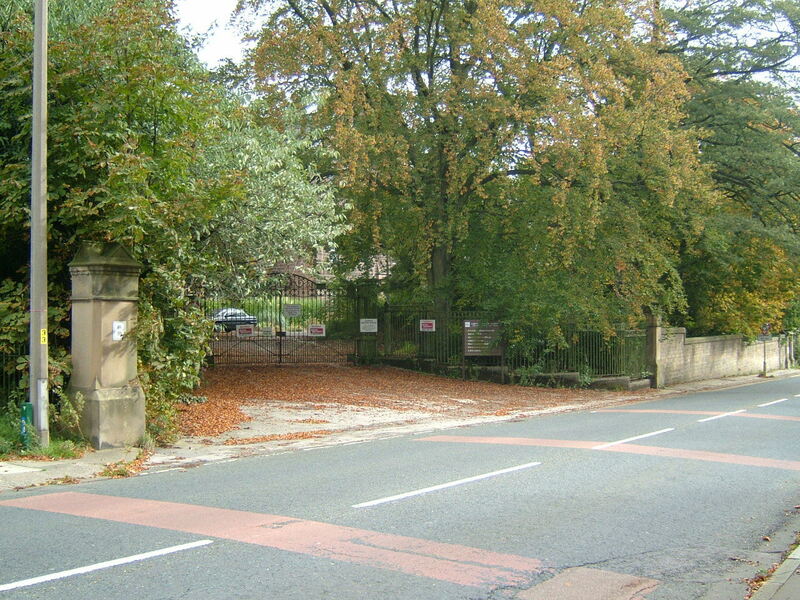 This sizeable structure formed another sizeable complex in it’s own right and stood some distance west of the annexe, accessed separately from it’s own approaches from Stone Row Head alongside the Lancaster Cemetery. 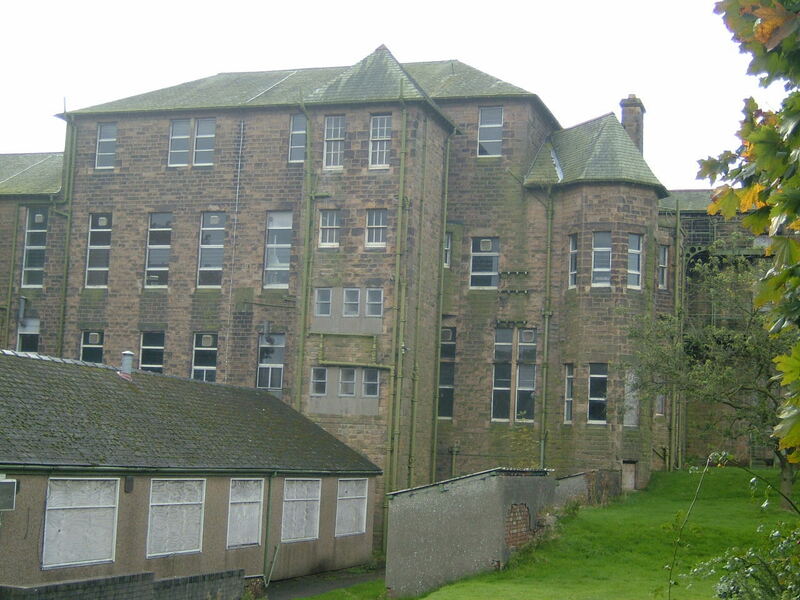 During the Great War as with other asylums throughout the UK, wards became overcrowded as institutions within each complex were turned over to the military for their casualties. 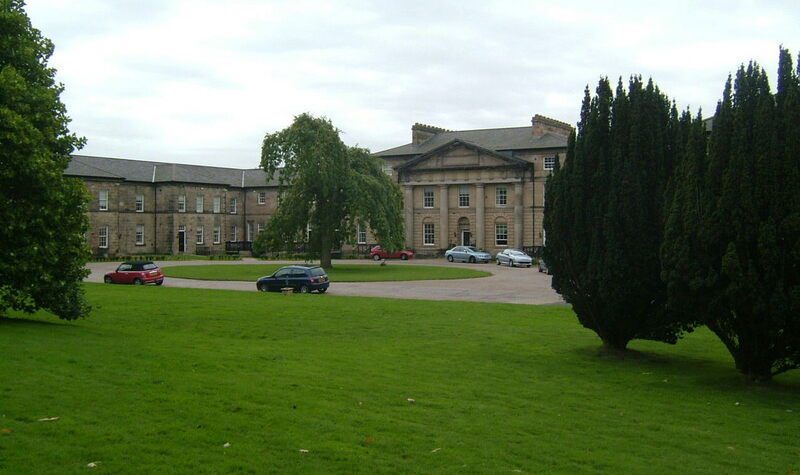 Patient’s were transferred to Lancaster, predominantly from the Lancashire Asylums Board’s Winwick asylum at Warrington which was used for the Lord Derby War Hospital. 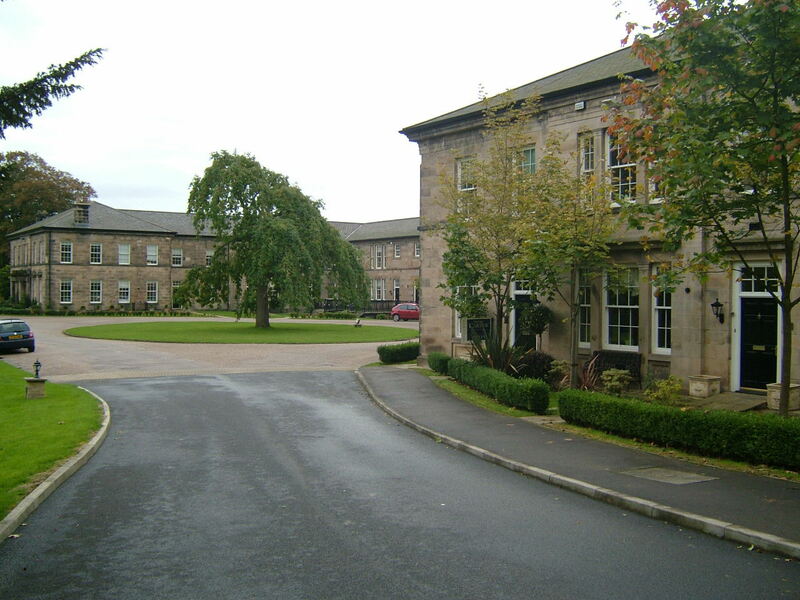 Winwick’s resident’s stayed semi-permanently in many asylums in the north west until they were returned with the cessation of hostilities. 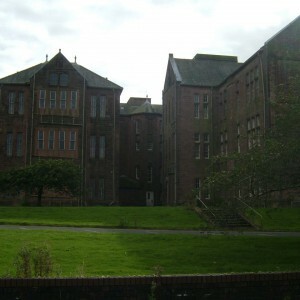 Little development took place in the interwar period with developments concentrated at other LAB asylums, particularly with development of admission facilities at Rainhill and Winwick sites, Gaskell house was completed in 1938 slightly to the north of de Vitre house between the annexe and asylum farms, Re-assessment of the whole estate took place in the late 1930’s and was severely critical of the condition an layout of the facilities although World War II prevented any planned remodelling from taking place. 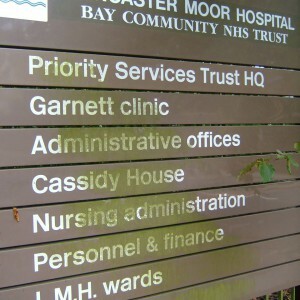 Pateints were displaced to Lancaster from the Royal Naval Mental Hospital, Great Yarmouth which became a military information and administrative HQ operated by the Navy as HMS Watchful and were to occupy parts of Cassidy, de Vitre and Gaskell houses north of the annexe though the war. 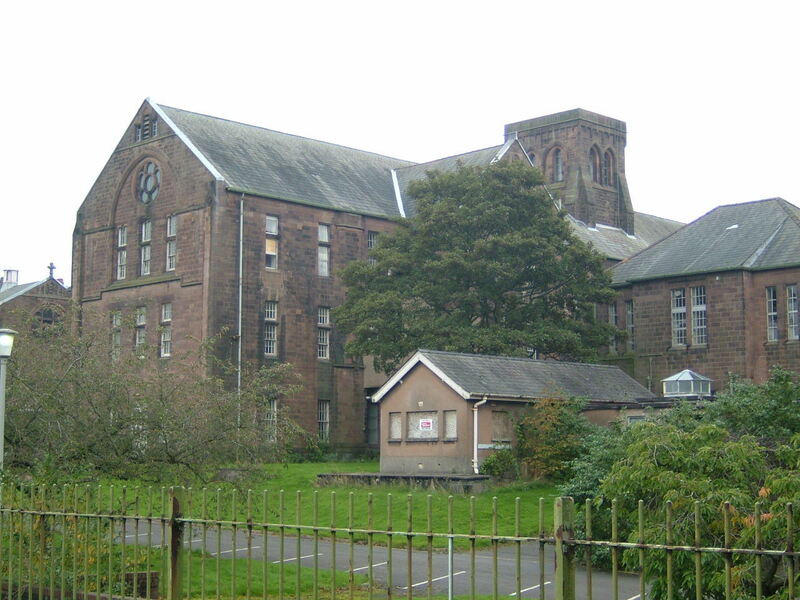 By 1940 the capacity of the hospital had reached over 3,400 with similar numbers at the other Lancashire Mental Hospitals, making them the largest such institutions in the country and such patient numbers did not begin to fall significantly until the 1950’s with the introduction of antipsychotic drugs and rehabilitation programmes. 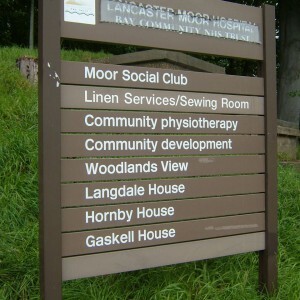 Under the NHS much of the hospital’s catchment area was revised to include places outside the traditional Lancashire and Furness County. 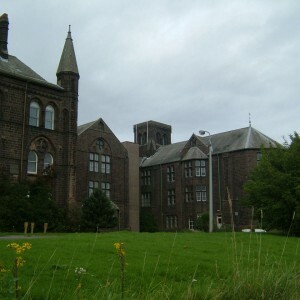 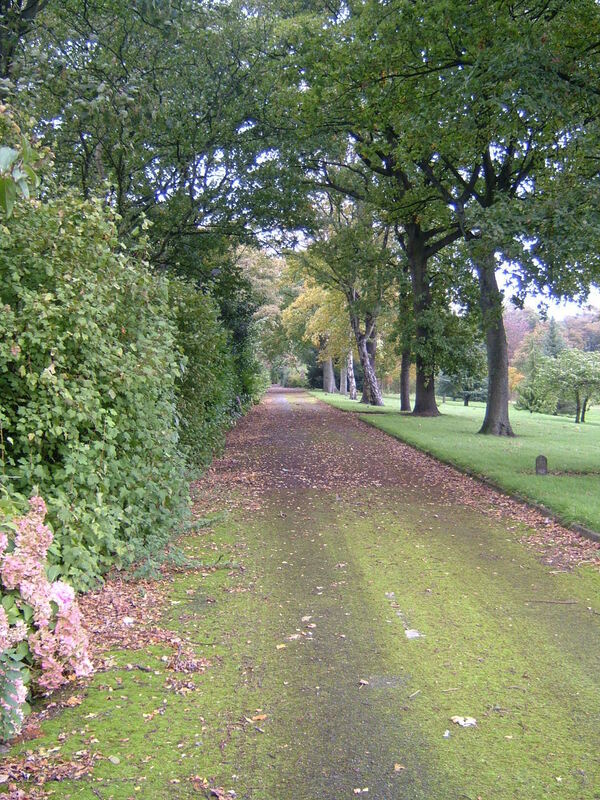 Remote areas formerly managed from Garlands hospital, Carlisle were included whilst more urbanised areas in the south were reconfigured with Whittingham. 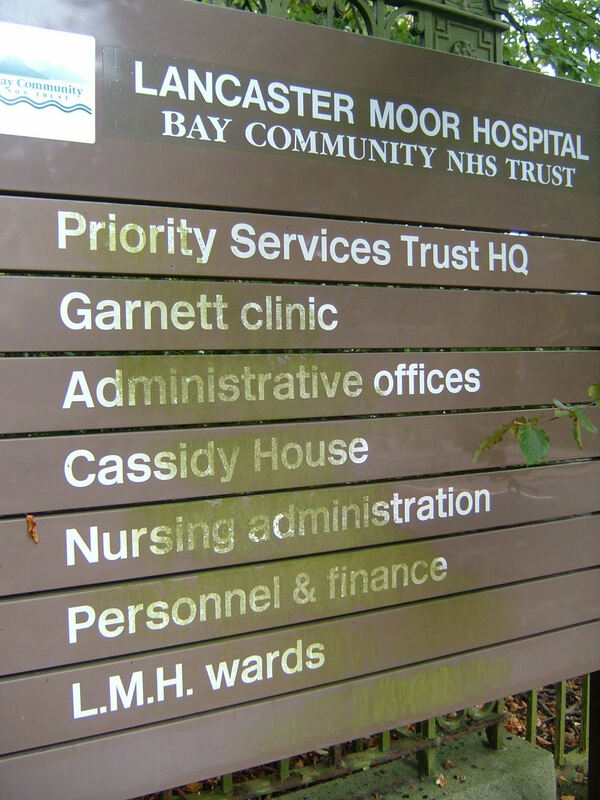 By 1958, sufficient space ad been vacated within the south end of the Annexe to enable a general hospital unit, the Garnett Clinic to be established in some of the empty wards. 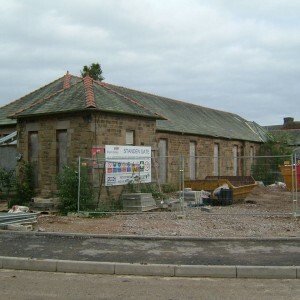 A broad range of facilities were already available on site such as physical and occupational therapy departments and x-ray for which the new medical, orthopaedic, opthalmic and surgical units would be able to utilise. 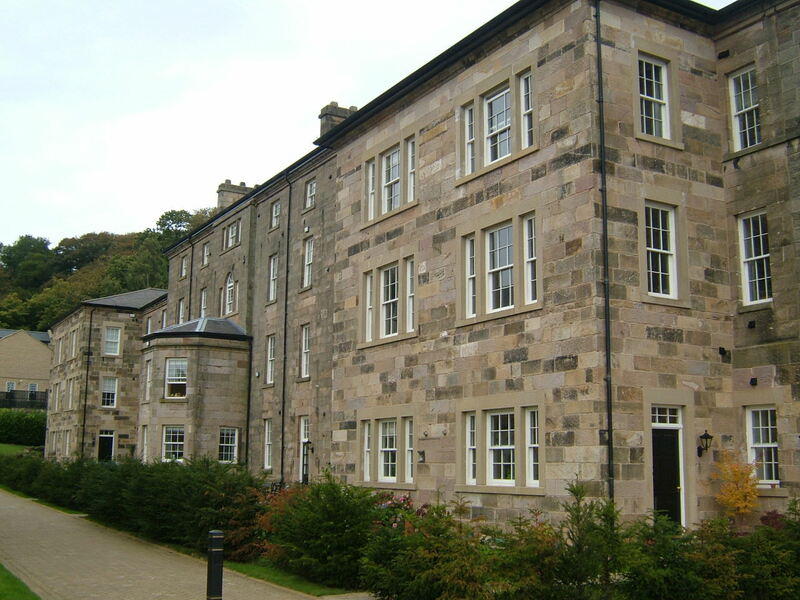 Elsewhere in the complex the new Hornby House was constructed as a geriatric unit in combination with similar facilities across other villas in the area including de Vitre and Cassidy houses. 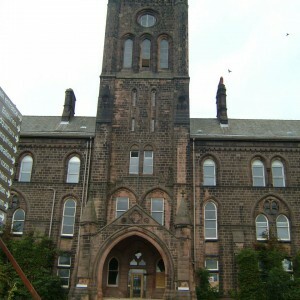 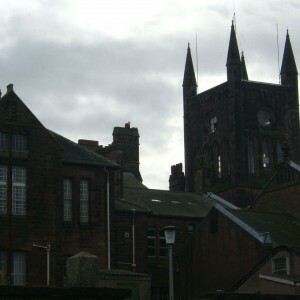 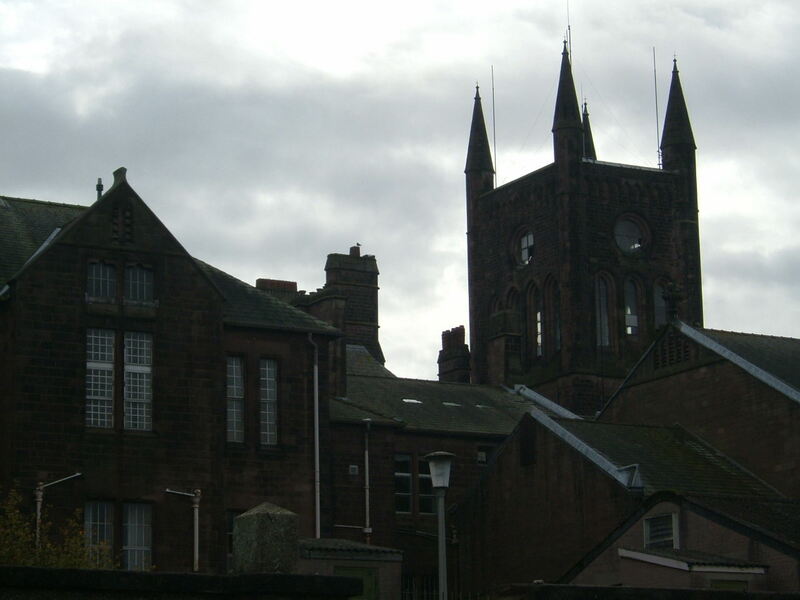 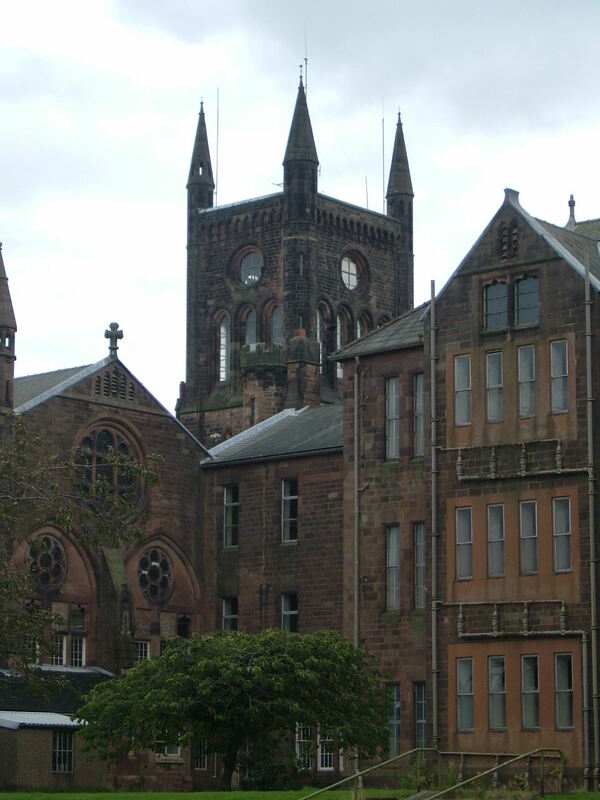 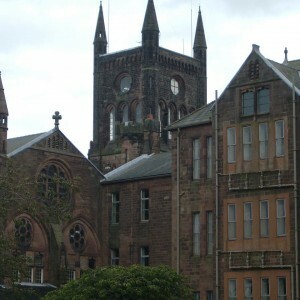 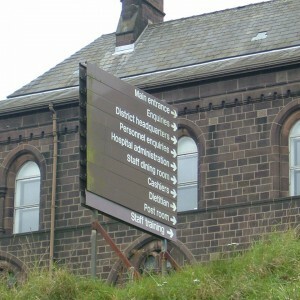 As these new services were not mental health services, links were made to operate closely with the Royal Lancaster Infirmary, the towns main general hospital with whom most medical support was linked. 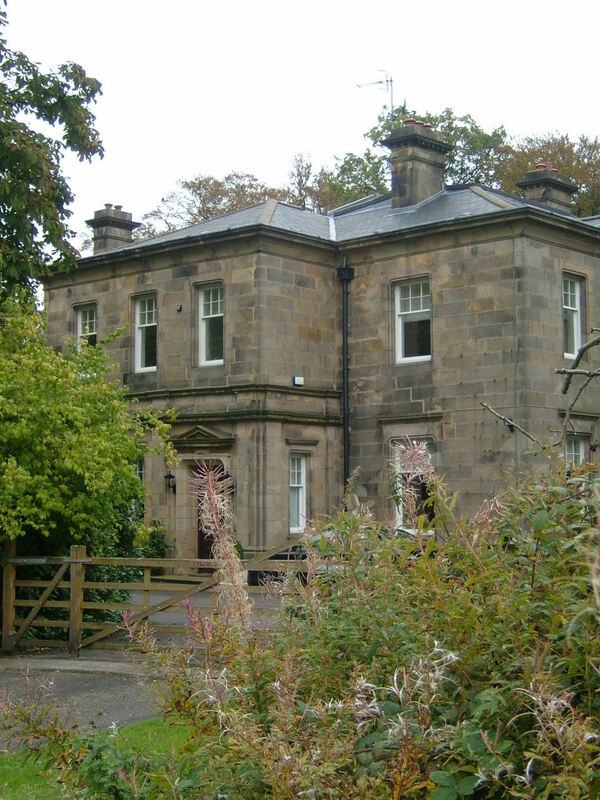 A unit for children and adolescents was developed after the final occupant of the Superintendent’s residence, Red Oak House, vacated the property. 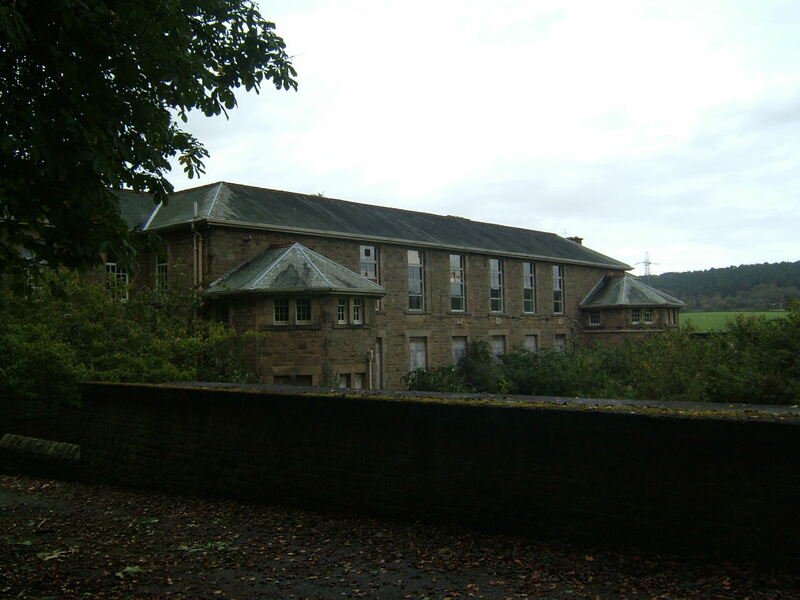 The process of resettlement of patient’s into the 1980’s led to gradual retrenchment of the site commencing with the original buildings on the ‘old side’. 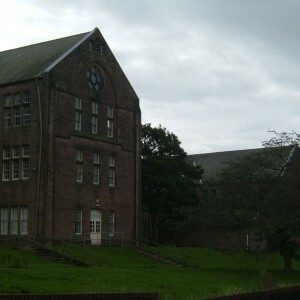 The former hospital farms north of the annexe had been sold to Her Majesty’s Prison Service and the site was redeveloped as the Lancaster Farms Young Offenders Institution and Remand Centre. 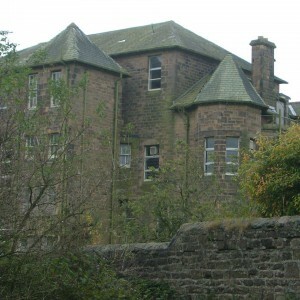 During this period the main acute admission and speciality services planned to remain on the site were concentrated at the former Ladies’ Villa which had become Ridge Lea Hospital. 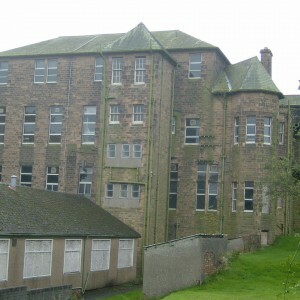 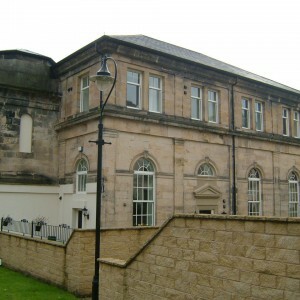 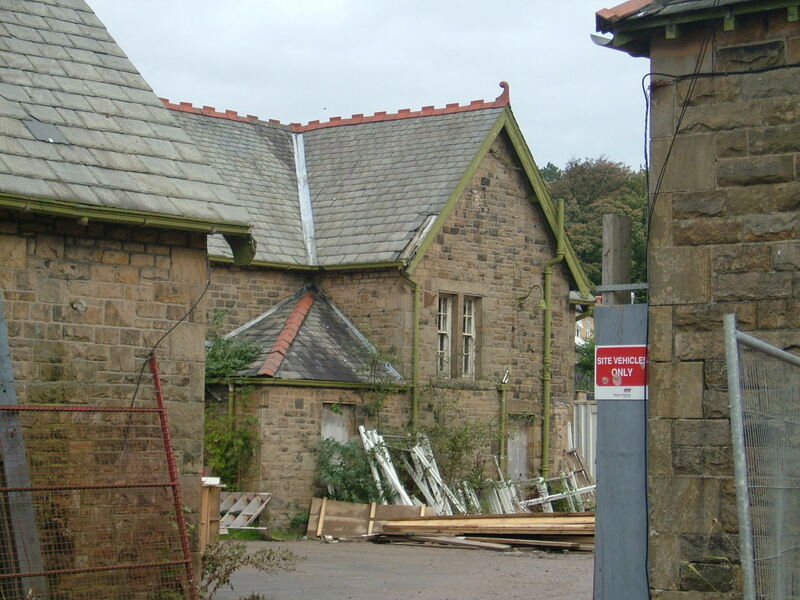 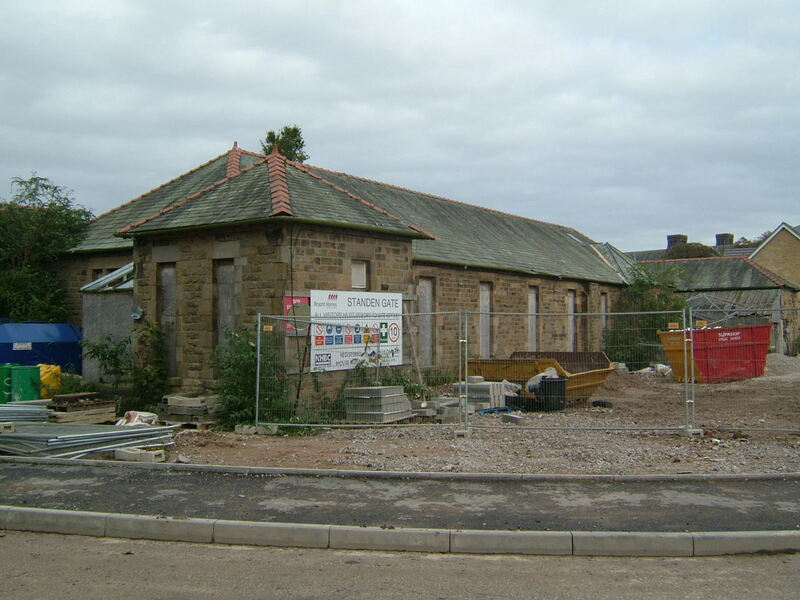 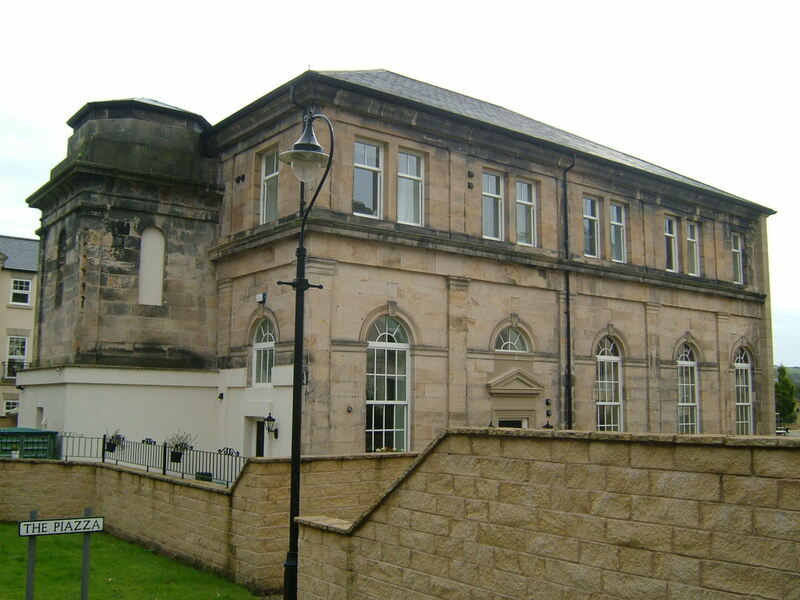 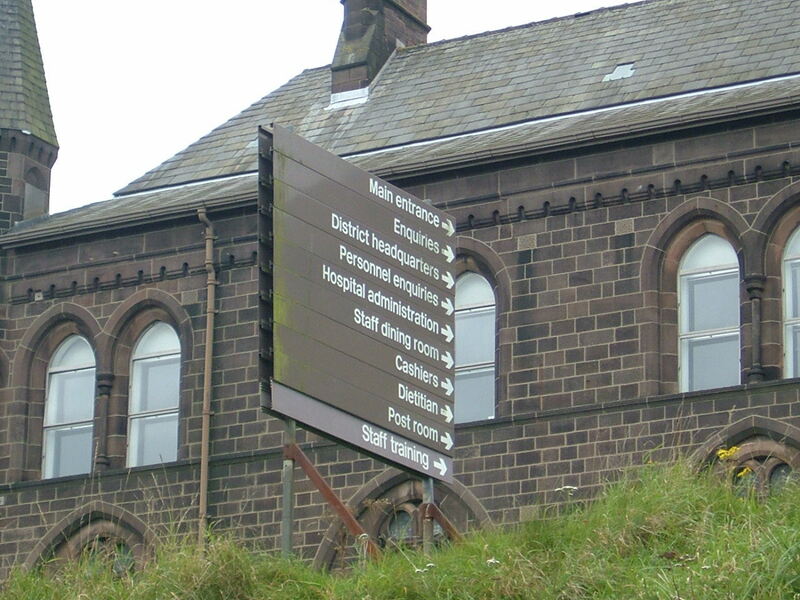 The remaining long stay services in the annexe were wound down during the late 1990’s being the last occupants of the trust as general services had returned to the Royal Lancaster Infirmary in preparation for final closure of the site. 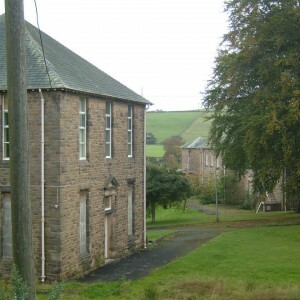 After closure the original hospital buildings, integrated chapel and infirmaries on the old side were refurbished for residential use whilst the remainder of the extensions were demolished in 1998. 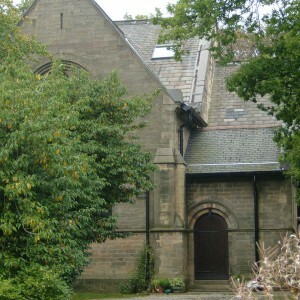 Elsewhere on the south side St. Michael’s Chapel, the former Superintendent’s residence, Jenner and Hornby Houses survived and were converted to housing. 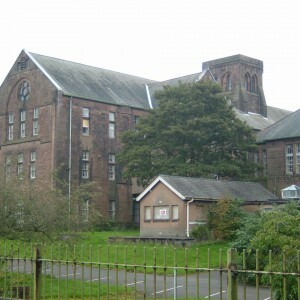 The remainder of the complex was redeveloped as Standen Park and Standen Gate housing estates. 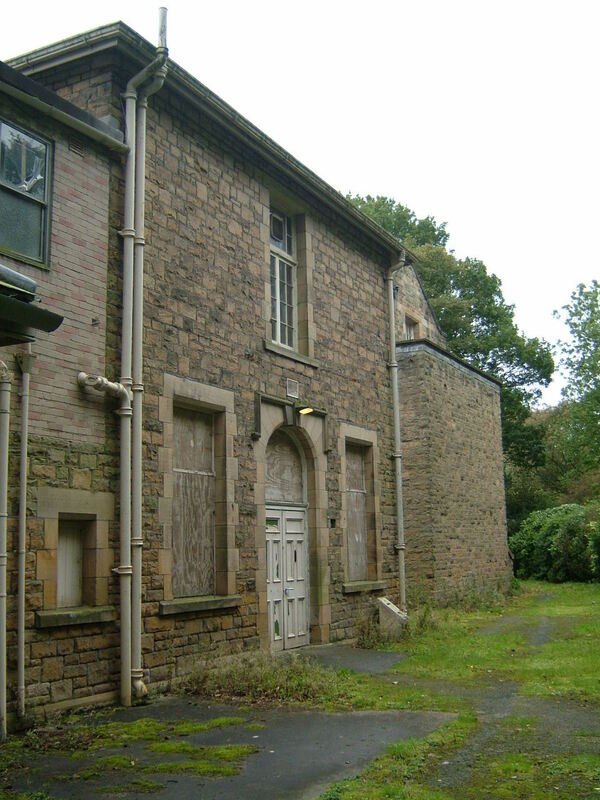 North of Quernmore Road, the annexe complex continued to house various administrative functions before being fully vacated and mothballed. 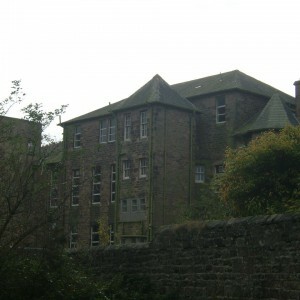 Unlike other similar empty asylums the annexe survived a decade of disuse largely intact and well secured until refurbishment was commenced in 2013 in the central block, along with the demolition of later additions. 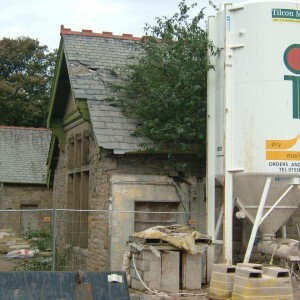 With the exception of Campbell House which was retained, the remaining villas were demolished in 2013 for a 200-bed housing development. 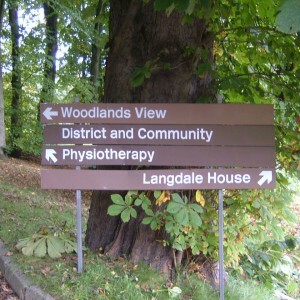 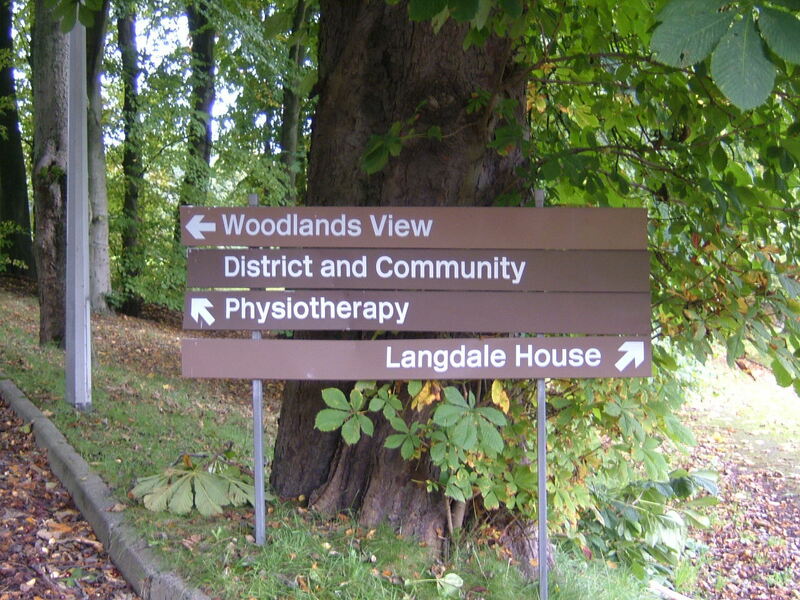 Mental health continue to operate from the Ridge Lea buildings at present although plans are in place which will relocate the remaining facilities transferred off the final part of the Lancaster Moor site.